The staff of Bio Health Center have all earned and received Certification from the Nevada State Board of Homeopathic Medical Examiners as a Certified Homeopathic Assistant or Certified Advanced Homeopathic Practitioner. While such certification is not "legally" necessary, Dr. Edwards and the staff believe that state board certification represents an assurance to the general public that the staff of Bio Health Center is trained, fully qualified and experienced in the specialty of Homeopathic Integrative Medicine. You can review our staff's credentials listed below... we're very proud of their training, skill and accomplishments. David A. Edwards, M.D., H.M.D. is the Medical Director of Bio Health Center, an outpatient Homeopathic Integrative medical facility providing quality of health care dedicated to keeping pace with changing times. Dr. Edwards has nearly twenty years of experience with Homeopathic Integrative Medicine - a combination of all the best in traditional medical care and the exciting variety of treatment options in the growing field of Complementary and Alternative Medicine. Scientific and popular interest in Complementary and Alternative Medicine has been growing in Europe, especially Germany for over 50 years. 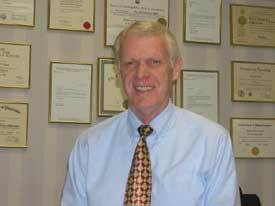 Dr. Edwards completed his Ozone, Bioresonance Feedback, Homotoxicology and Electroacupuncture certification in Germany. In addition, all clinical staff at Bio Health Center are licensed and/or certified by the state of Nevada to provide Homeopathic Integrative medical services. Unfortunately, the American scientific medical community was slower to investigate and accept "Natural" methods of healing, but there is now U.S. government interest in and early support of many of these methods. Jean Malik, Advanced Homeopathic Practitioner and Bio Health Center's specialist for Women's health Issues and NAET allergy therapy. Jean was born and grew up in Karachi, Pakistan, where she attended and graduated from St. Lawrence High School and St. Joseph's College, both located in Karachi. Jean graduated from medical school with an M.B.B.S. degree (the British equivalent of U.S. Medical Doctor or M.D.) and completed post graduate training in Obstetrics, Gynecology and Internal Medicine. After completing postgraduate medical training Jean served as a medical officer in Internal Medicine and Ob-Gyn at Punjab Medical Centre and Kamal Medical Centre in Pakistan for several years before coming to the United States. 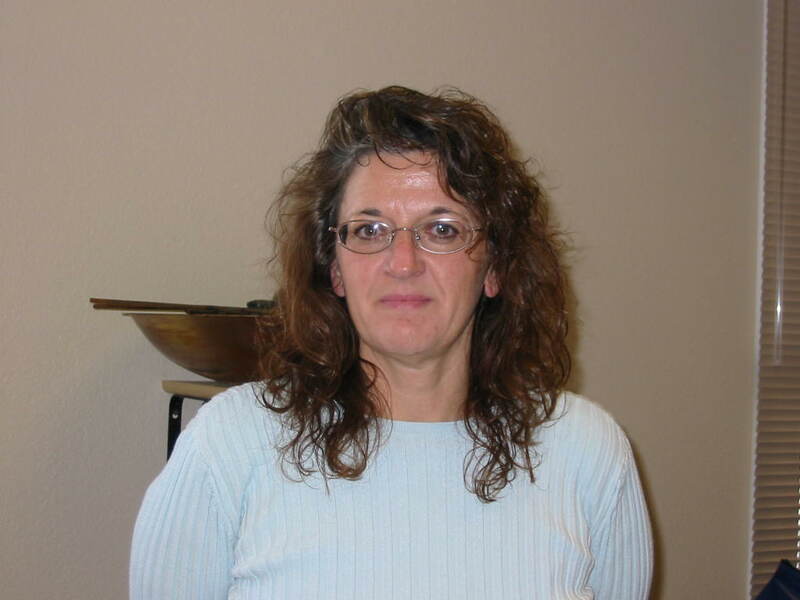 Jean began working with Dr. Edwards in 1994 in the specialty of Homeopathic Integrative Medicine and was certified as an Advanced Practitioner of Homeopathy (AHP) by the Nevada Board of Homeopathic Medical Examiners in December of 2000. Jean is a graduate of the British Institute of Homeopathy (D.I. Hom. Degree) and a certified NAET practitioner. Jean's clinical areas of interest are women's health, natural infertility therapy, gynecology and Bio Oxidation therapies. Her real expertise is with NAET allergy therapy. Many of our patients have really come to know and appreciate Jean's remarkable state of serene equanimity. For recreation Jean enjoys reading and listening to music. Edna Espig, Certified Nursing Assistant (CNA), Certified Homeopathic Assistant (CHA), and Bio Health Center's Executive Director. Edna was born in Berlin, Germany and grew up in the San Luis Obisbo area of central coast California. She graduated from Paso Robles Christian School and Cuesta College in San Luis Obisbo. In addition, Edna has also trained as and is a Certified Nursing Assistant (CNA). Edna began working with Dr. Edwards in the specialty of Homeopathic Integrative Medicine in 1996 and was certified as a Homeopathic Assistant (CHA) by the Nevada Board of Homeopathic Medical Examiners in December of 2000. Edna's area of interest centers around the operational aspect of Bio Health Center. Her managerial talent and skill are responsible for maintaining the daily operation of Bio Health Center. Many of our patients have really come to know and appreciate Edna's efficiency, understanding of third party payer "paperwork" and her remarkable ability to get things done. In her spare time Edna enjoys boating, gardening, softball, reading and cooking. Renoir Morillo, BSN, Certified Homeopathic Assistant (CHA) and Bio Health Center's Chelation and Intravenous (IV) technician. Ren was born in the Philippines and after spending her early childhood there she moved to San Francisco, where she graduated from McAteer High School. Ren attended San Francisco State University and she received her Bachelor's degree in the Science of Nursing (BSN) from Quezon City Medical Center, Quezon City, Philippines. Ren began working with Dr. Edwards in 1996 in the specialty of Homeopathic Integrative Medicine and was certified as a Homeopathic Assistant (CHA) by the Nevada Board of Homeopathic Medical Examiners in December of 2000. Ren's clinical areas of interest are pediatrics and substance abuse rehabilitation. Her real expertise is "painless" needle insertion for intravenous infusions and IV injections... a very difficult Art to do well. Many of our patients have really come to know and appreciate Ren's playful sense of humor and her expert skill in inserting needles painlessly. For recreation Ren enjoys bicycling, swimming and cross-stitching. Suzie Ludahl Bio health front office receptionist and back office assistant. Suzie was born and grew up in Manila, Philippines. Suzie attended primary school at Dominican College and graduated from Jose Rizal in Manila. With the intent of attending nursing school Suzie moved to Reno in 1983. After completing further post graduate education at Reno's Truckee Meadows Community College in pre-nursing, Suzie professional career was interrupted when she decided to get married and settle into family life. Suzie began working with Dr. Edwards in 1998. Suzie is most likely the first person a new patient will contact at Bio Health Center. Being on the "front lines" of the Center's phone lines, Suzie has developed a real knack for solving those difficult scheduling problems that we all have. Her attention to detail and skill in arranging the most convenient appointment times is greatly appreciated by many callers. Suzie is also a great resource for callers with general or specific questions about treatment resources, methods and policies of Bio Health Center, Dr. Edwards or Jean Malik, AHP. Suzie enjoys movie watching, walking and bicycling. "No where in today's managed care, third party, media circus does anyone present the patient and clinical practitioners philosophy... For years I listened to the insurers, managers, experts, professors, news pundits, bureaucrats and opinion makers. But I ultimately realized that I still had to sleep at night. From all third party perspectives any clinical practice is, in essence, 'anecdotal.' So now I listen first and foremost to my conscience. I had good teachers, good mentors and loyal patients as well. Although I think 'science' is important, technology, politics and economics are not science. The professional oath I took upon becoming a physician was to relieve patient suffering, honor those who taught me, teach those willing to learn and reveal no information shared with me in confidence. It didn't have anything to do with third parties. That oath is our philosophy at Bio Health Center..."
Intellectual Content: © International Bio Medical Research Institute, a 501(c)(3) tax exempt foundation. All Rights Reserved. "Quality Homeopathic Integrative Health Care on the cutting edge." interpretation of the First Amendment to the U. S. Constitution. Dr. Edwards is a licensed MD and a licensed Homeopathic MD in the State of Nevada. The practice of Homeopathic Integrative medicine is licensed in Nevada and approved by the Nevada State legislature.